The weather has been fabulous for spring so far in Toronto. A great time to start riding the bike! 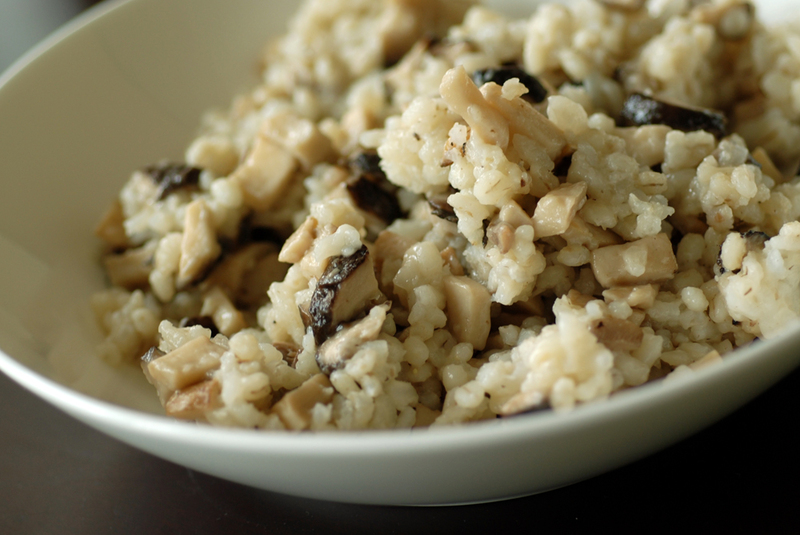 Warmer weather, though, brings cooler dishes, which is why I loved this dish. 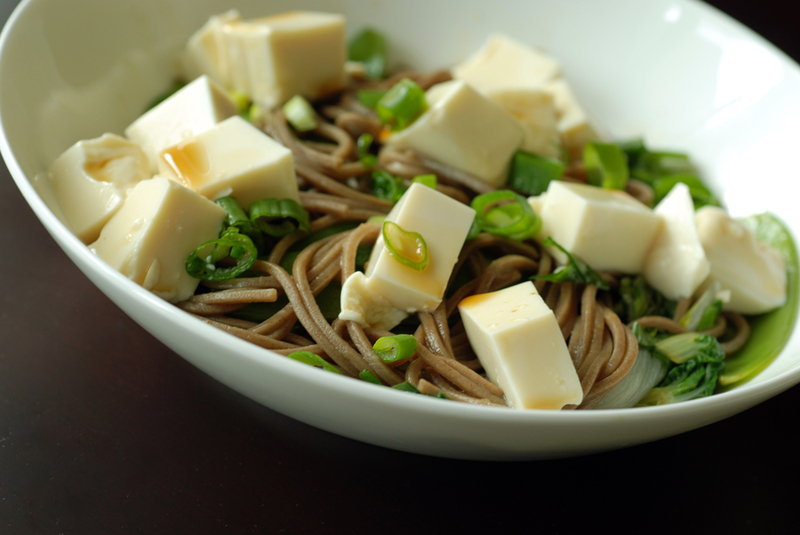 It melds a variety of Asian flavours together with my one of my favourite noodles, soba. 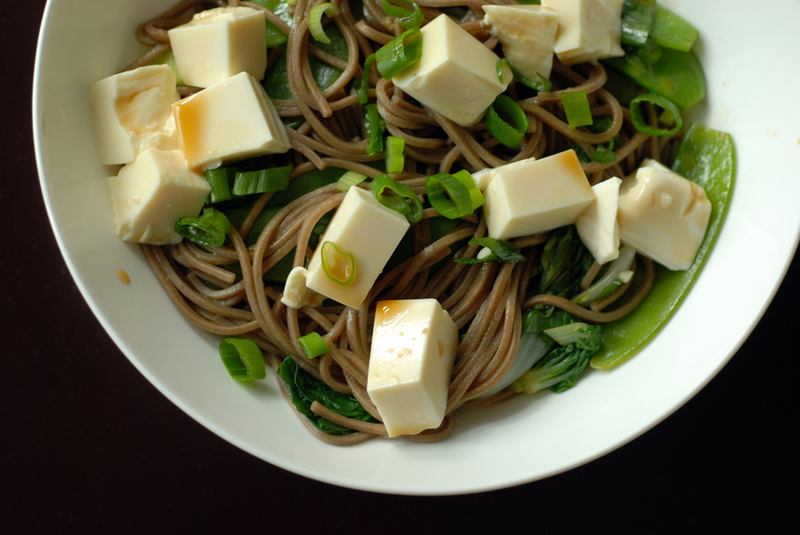 The fresh green veggies, including baby bok choy, snow peas and spinach, are lightly steamed, then combined with cool silken tofu in chunks and smothered with a ponzu soy sauce. But what is ponzu? It is an Asian sauce made from mirin, rice vinegar, bonito flakes and kombu, and occasionally soy-based, with a note of citrus tang from yuzu. But what is yuzu? It is a citrus fruit from East Asia, that looks like a small grapefruit but tastes like grapefruit and mandarin orange. It is difficult to find yuzu here, so it can be substituted with a blend of juices from other citrus fruits (lemon, lime, orange, grapefruit, etc). There are recipes to make your own ponzu sauce as well but I buy mine from the store. I have discussed other Asian ingredients and where to find them in Toronto, in previous posts here and here, and ponzu sauce can also be found at Asian markets like Bestwin and T&T. I can’t say I’ve seen it at Loblaws and the like, but I haven’t checked. I found it on amazon as well. 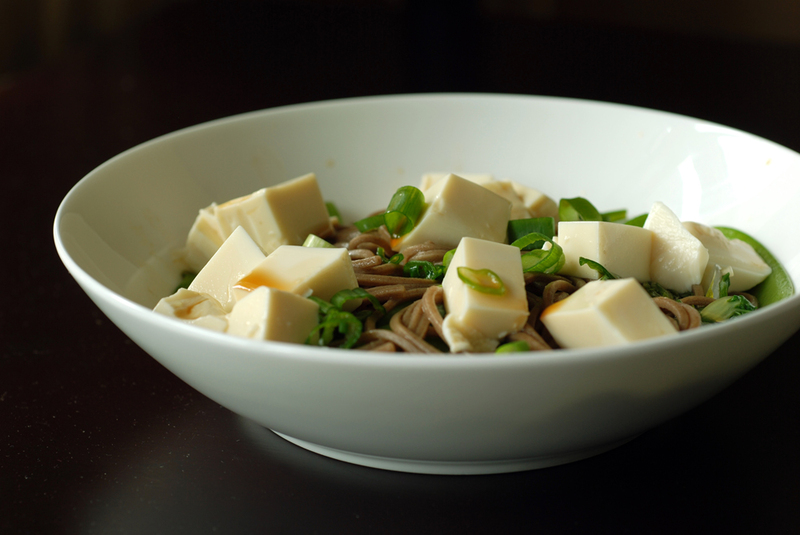 Ponzu sauce is nice as a replacement for soy sauce in many Asian dishes and has the added benefit of less sodium. 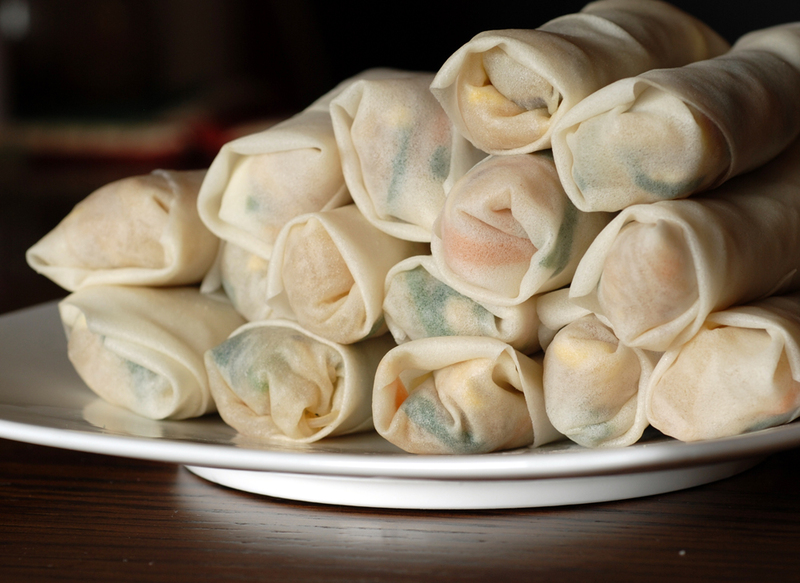 It is also a great dipping sauce for gyoza (Japanese dumplings). This dish was adapted from Gourmet (July 2008), and despite having a long ingredient list and many directions, is quite simple to prepare but does leave many dirty dishes to clean. However, it is definitely worth it. You can use an assortment of seasonal Asian vegetables, steam them until crisp but retain their colour (blanch them if you are incredibly worried, but I chose not to dip anything into ice water and it was fine). The noodles can be cooked under the steaming vegetables, to save time. The sauce is nice but the ponzu flavour is not overwhelming. 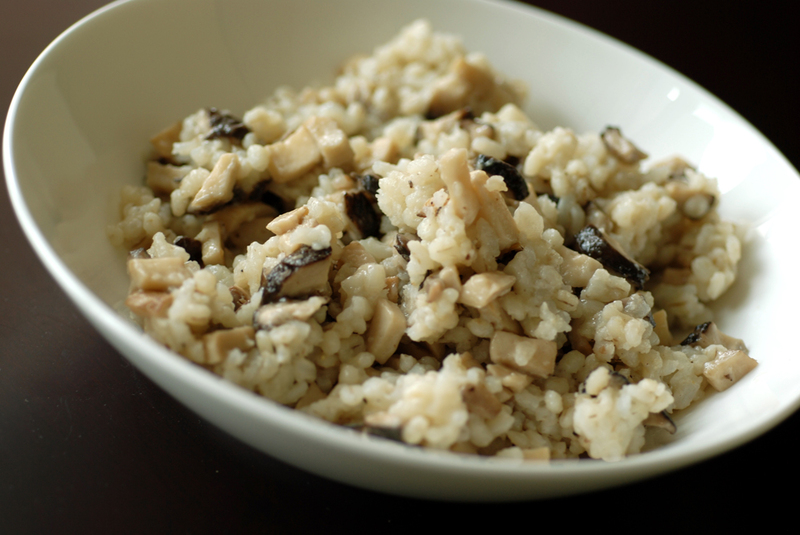 If you cannot find the ponzu sauce, substitute it with a bit more soy sauce, or omit completely. It makes a lot of sauce, which is tasty but could likely also be decreased by 3/4 or more. 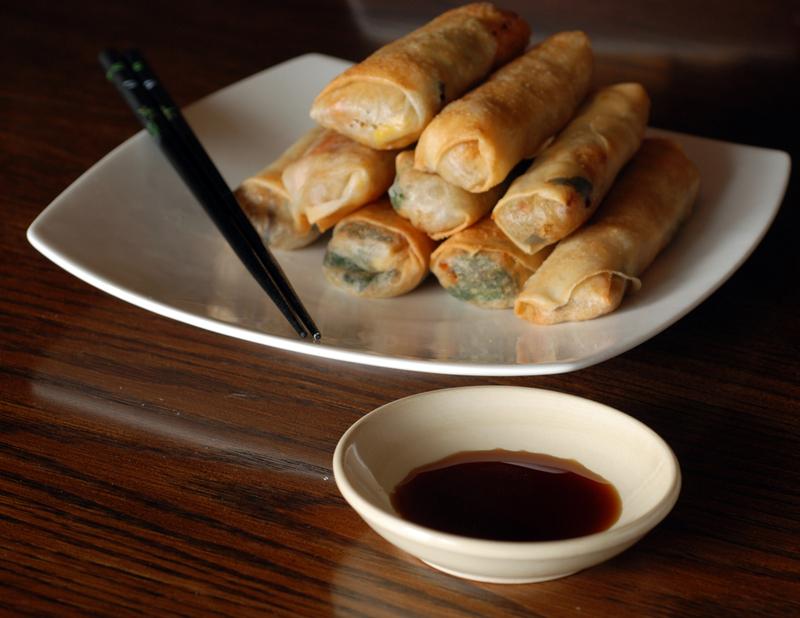 The crowning touch is the chilled silken tofu which melts in your mouth and brings that coolness to your palate. I found the dish best when served completely chilled the next day as leftovers, when the sauce is added just before serving. I am submitting this glorious spring dish to a few places this time: my second submission to Health Nut Challenge 5 featuring Cruciferous Vegetables, hosted by Yasmeen Health Nut, to Presto Pasta Nights hosted by Thyme for Cooking and to Ivonne at Cream Puffs in Venice for Magazine Mondays. 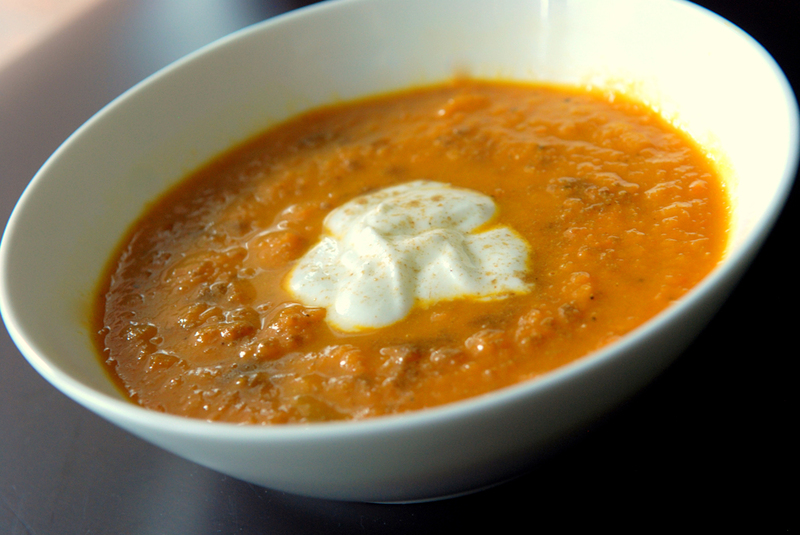 Here is a lovely easy and simple carrot soup with a bit of pizazz from cumin to give you a Moroccan flavour. Since returning from a trip to Turkey, I have been craving Turkish food which melds Greek, Mediterranean and Middle Eastern cuisine all into itself. 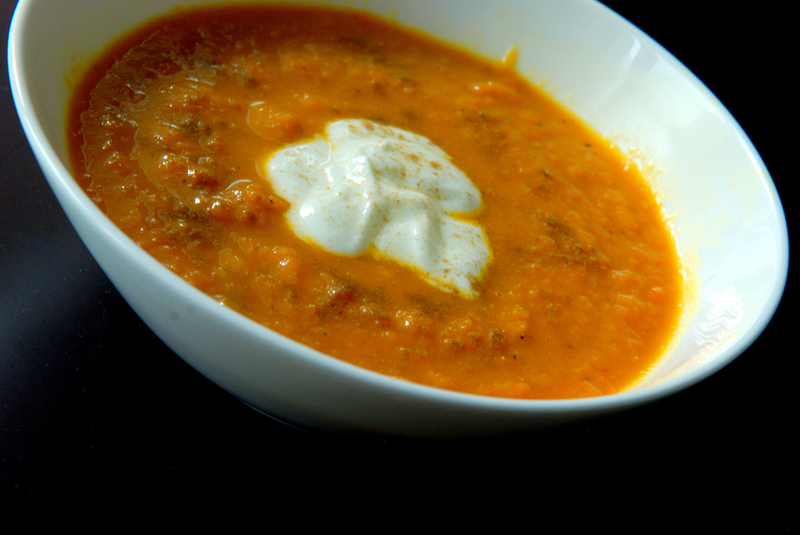 As I investigate a few of the Turkish cookbooks out there, help yourself to a bowl of this delicious carrot soup. It was adapted from the original recipe in April 2010’s issue of Bon Appétit but also spotted here and here. Don’t skip the yogurt as it makes it nice and creamy. I didn’t roast the cumin, but I am sure it would add another dimension of flavour, as the carrots work well with the lemon and allspice. This is my submission to AWED (A Worldly Epicurean’s Delight) featuring African cuisine and Magazine Mondays hosted by Cream Puffs in Venice. Crêpes are incredibly versatile as they can envelope any good food and make it taste great. There are restaurants entirely devoted to crêpes with different fillings. In fact, one of my favourite places for crêpes in Toronto is the Art Square Cafe, across from the Art Gallery of Ontario (AGO), where they have imaginative and tasty crêpes like grilled chicken and mayan organic dark chocolate (yes, they are together!). I also really like their chocolate and pistachio dessert crêpe. I can only eat one or the other though, as they are so filling. 😉 Incredibly yummy with the real chocolate! When I am at home, though, sometimes I like to keep things simple with my crêpes. As a child, I used to layer the crêpe with homemade jam before rolling it up, or use canned peaches as a filling. I suppose my tastes were quite bland as a kid! Now, I love to use Nutella (a chocolate hazelnut spread) as a base to line the crêpe, then top with seasonal fruit and sprinkle with toasted sliced almonds. 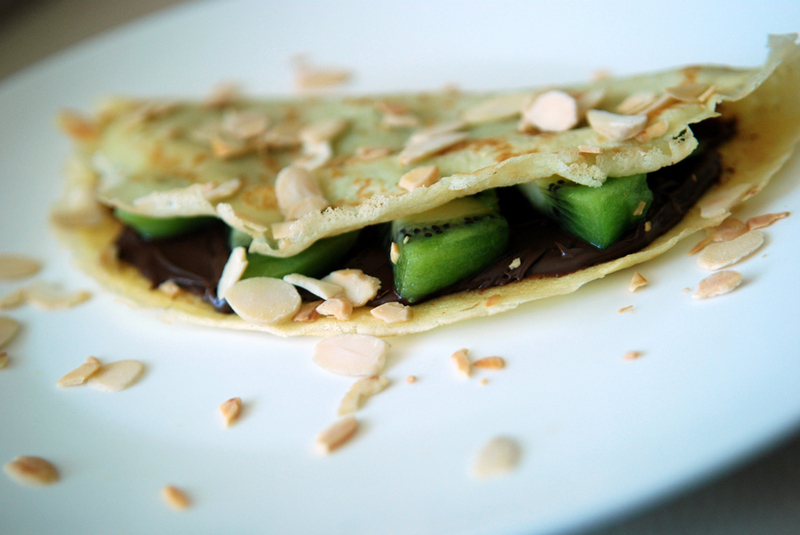 You can add the Nutella to a warm or cold crêpe, and find yourself with melted or normal Nutella – tasty either way! Kiwi is one of my favourite pairings with Nutella in a crêpe, but other fruit works well too, like mango, strawberry, banana, blueberry, apple, etc. These crêpes are great for sweet fillings as they are light and fluffy. I wonder whether anyone can recommend a good whole-wheat crêpe recipe? Do they exist? One of my favourite dishes that was prepared during the Tastes of Tomorrow events was a delectable risotto made by Chef Morgan Wilson from Trios Bistro in Toronto. We gobbled up at least 4 servings of the risotto (nevermind the citrus-poached halibut and tomato, lemon and olive relish) and left contently stuffed. 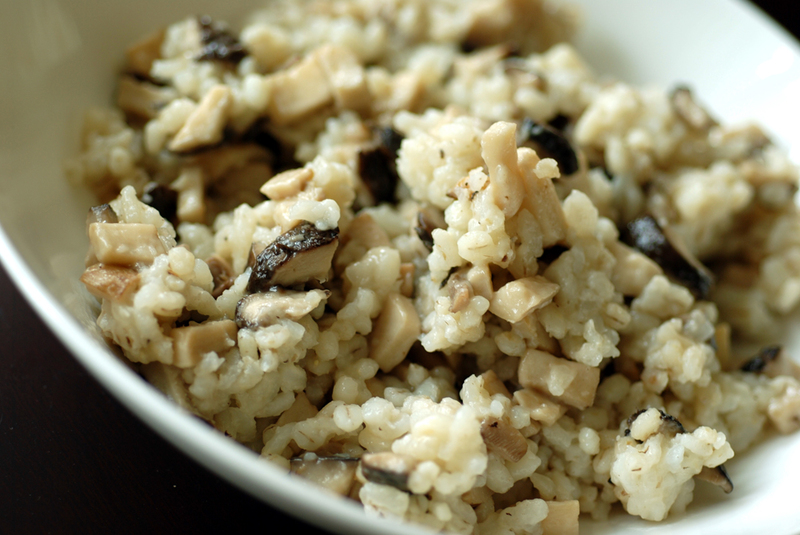 However, I know the secret to delicious risotto: a tasty fish broth, good quality Arborio rice, butter and lots of Parmesan cheese. The recipe says just to add Parmesan to taste, but I saw how much he added! LOTS! Unfortunately, I probably ate my entire week’s caloric intake that night, and I knew it would have to be a very special occasion (ie. after my upcoming 70km charity bike ride would be ideal ;)) before I tackle it myself. For the other days, I need to find something a bit less artery clogging. 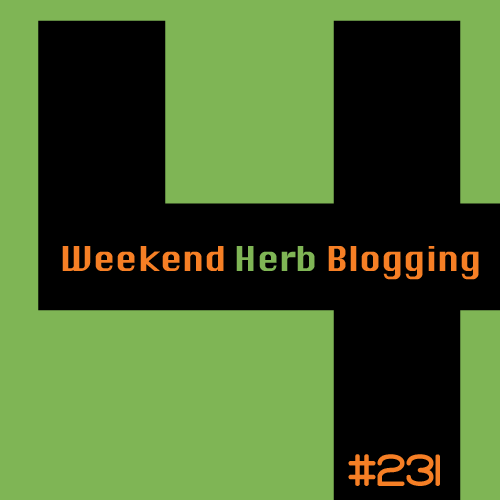 I am submitting it to this week’s Weekend Herb Blogging, hosted by Winnie from Healthy Green Kitchen. I am new to food blogging, if you haven’t already noticed. This blog is just over 6 months old (woohoo!) but sometimes I have questions. Like what should I do if I have a better version of something I already posted? I’ll write a new post, for sure, but I would hate to mislead people into trying a different sub-par recipe when I have a better one! What to do with the older post? Write a disclaimer with a redirect to the new revised recipe? I think that sounds best, but let me know if you have better ideas. This recipe came from the George Brown College Chef School, through Tastes of Tomorrow, their student cooking club. This is why you pay the big bucks for culinary school! Or the small bucks to go to their student club – a wonderful bargain if you ask me and blogTO (sadly I missed the frozen pastry demo and the one with Chef David Lee of Nota Bene restaurant). Anyways, I didn’t tackle this recipe originally because I didn’t have a scale but bakers will tell you that weighing your ingredients is the best way to consistent results. Plus, the recipe is just plain better than Martha’s. Definitely pick up a scale just for this cookie. They can be found fairly cheap ($20) at kitchen supply stores, amazon, etc. Just make sure it measures to the gram (not rounded to the closest 5 g) and can weigh at least 5 kg. 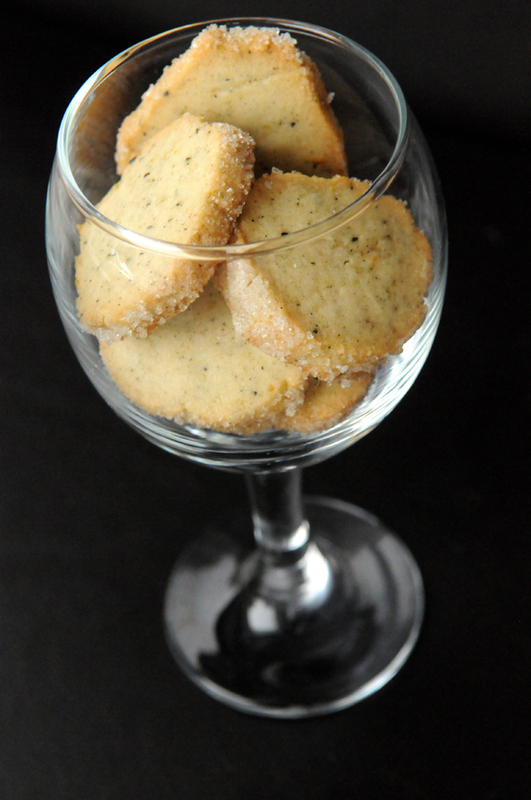 A few other tips for optimal earl grey cookies I picked up from my last batch: the quality of your Earl Grey tea matters. Instead of tea bags, I opted for Earl Grey Cream loose leaf tea from Tealish. 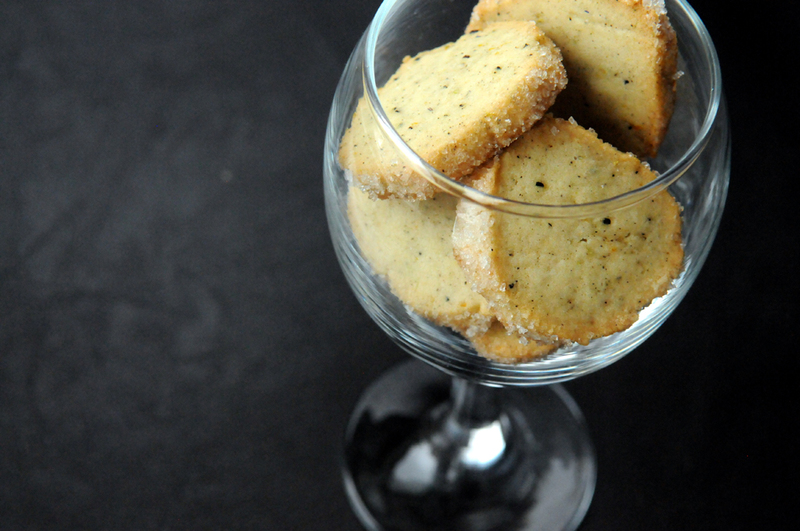 Delicious as a tea with a hint of vanilla, and fabulous in the cookies. Plus, I loved the coarse sugar dancing on the outsides of the cookie. It added a burst of sweetness from an otherwise mild cookie. This is my submission to this month’s Sugar High Fridays, hosted by Vampituity, featuring Personal Feats of Dessert (Recreated Failures). In my last post, I commented that I could have a hard time making up a tasty meal without advance warning. That’s usually because I buy my produce for each dish and then work around what I have and need for my meals. I don’t tend to make too many meals that are completely from pantry staples (I did during my university days, though!). However, there is something to say about tasty meals that can be whipped together from stuff in your cupboards. I recently returned from a trip and came home to an empty fridge. What to make? Then I knew it! 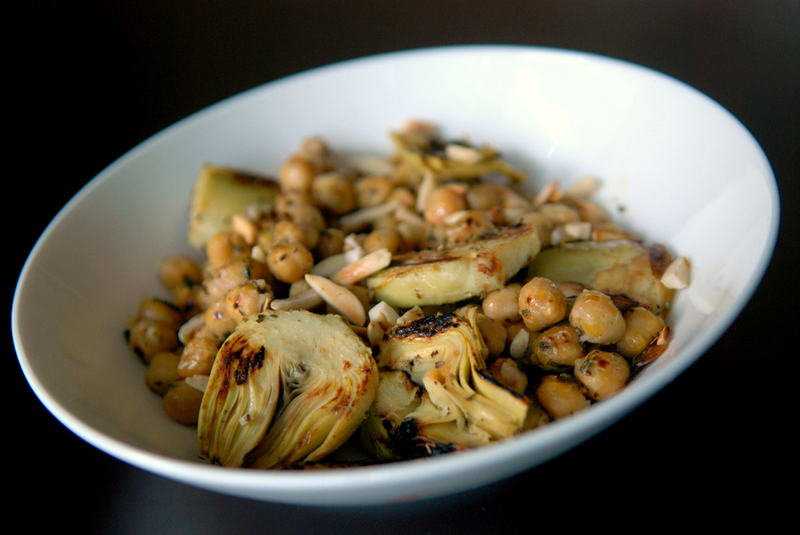 The chickpea and artichoke salad! 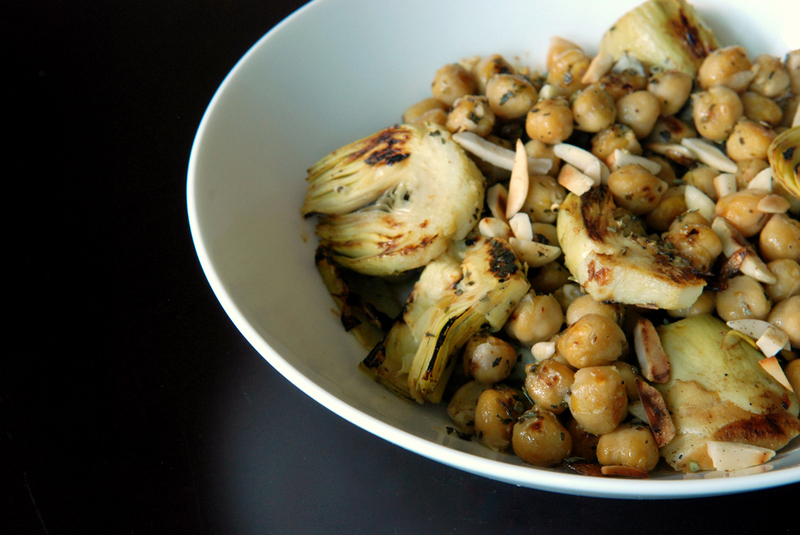 I initially spotted this recipe through the No Crouton’s Required round-up about chickpeas (with two variations from the same original recipe from Vegan Yum Yum by Lauren Ulm (also posted here)). My variation is adapted from Diet, Dessert and Dogs. This is my submission to this month’s My Legume Love Affair, hosted by RuchikaCooks and to this week’s Healthy Vegan Friday. Friends like to ask me about my signature dish and I have a tough time answering because I try so many different recipes. A few of the goodies get repeated, but I also feel that variety is the spice of life and it may be months to years before I retry a recipe. But the truth be told, my favourite repeated dishes are salmon teriyaki and my wheat berry salad with almonds and cranberries in a citrus dressing. 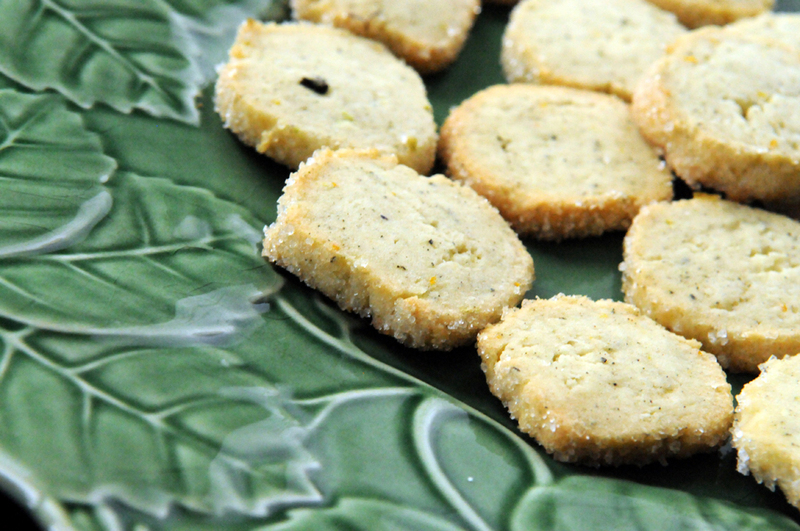 They are a bit different and are a treat for guests. However, I can’t just whip the dishes out of thin air as they aren’t made with pantry staples. I need some advance notice to head to the grocery store before I make them. But what happens if I have unexpected guests? Well, to be honest, they will likely go hungry if they don’t want leftovers. My grandmother, wise in her years, has staples she can whip up in no time. 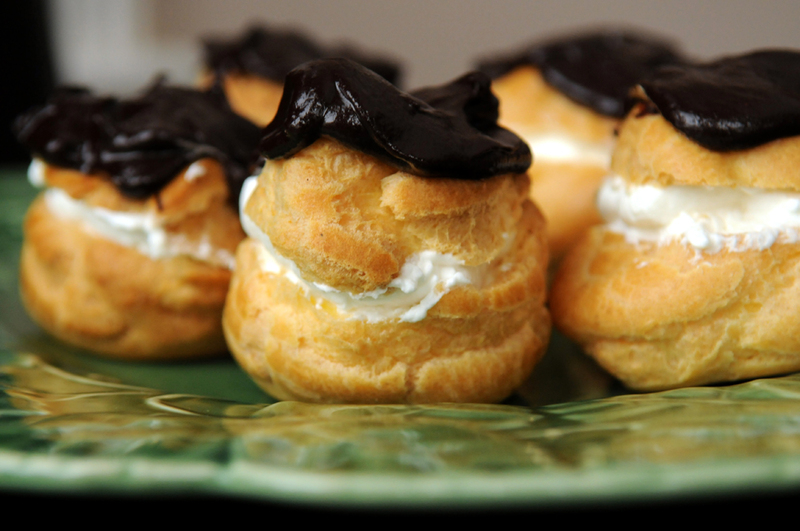 Cream puffs are her emergency dessert and if pressed, she’ll ask her guests to come with the whipping cream for a stellar dessert. 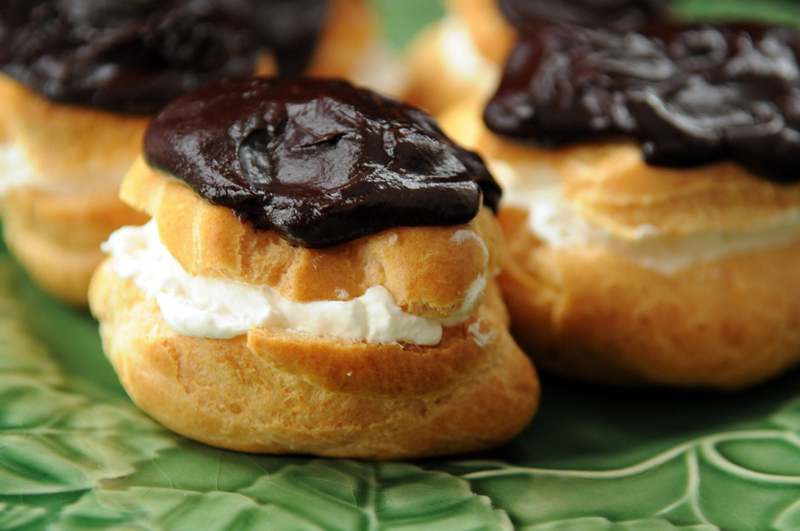 I never knew cream puffs, light and delicious pastry filled with vanilla whipped cream and smothered with chocolate, could be considered easy. 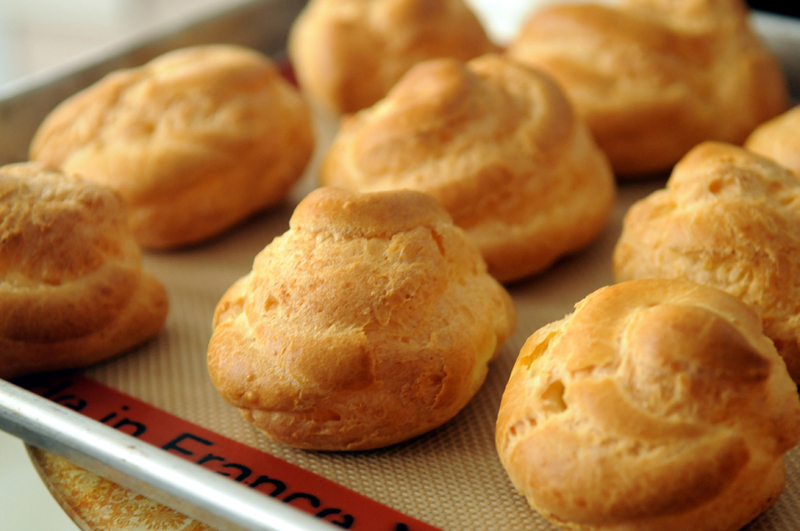 So I put my grandmother’s recipe to the test, to figure out how foolproof it was to make cream puffs. 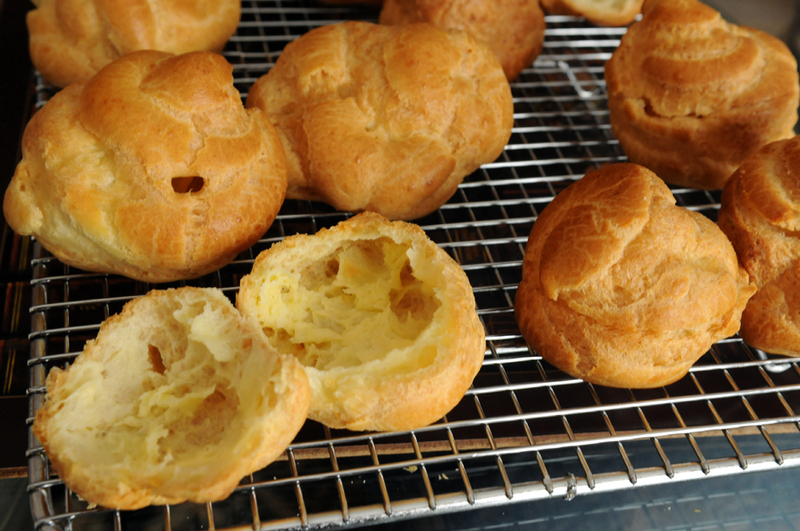 The cream puff pastry (aka pâte à choux – cabbage paste!) is nice because the ingredients are all pantry staples and you can make it without a machine. You need to whip it really hard and fast until it pulls from the side of the pan, but no problemo! Next you drop them onto a cookie sheet and bake until they are browned and hollow in the middle. The moist dough allows steam to puff the pastry. 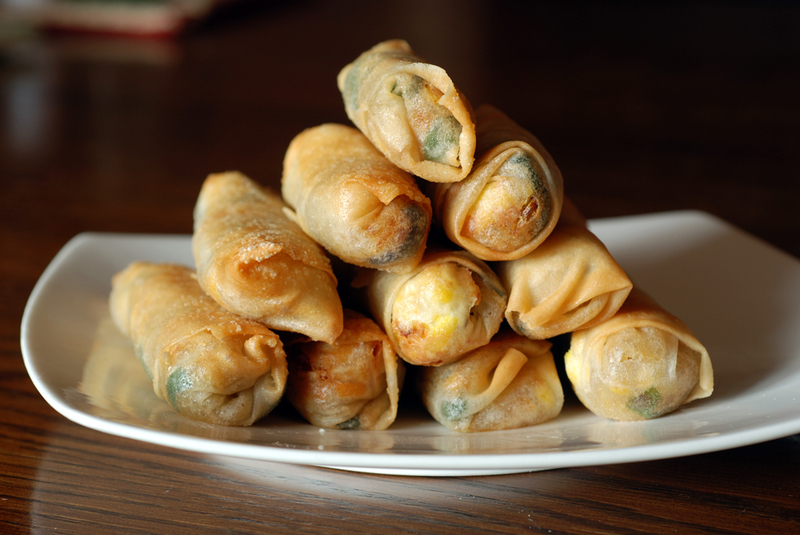 Cut them in half, remove any soft dough (still tastes yummy!) and let cool. The pastry can easily be frozen at this point, and later reheated in a 350F oven for a few minutes prior to filling and dressing. 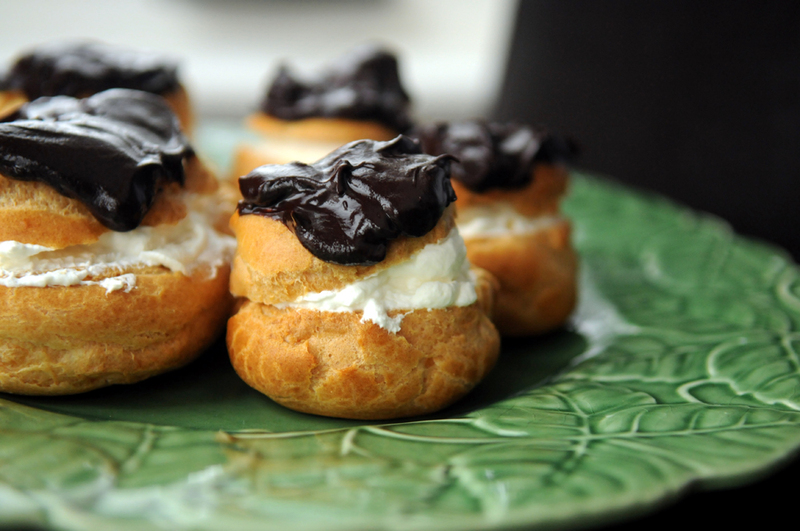 Next, once your guests arrive with the whipping cream, and the cream puffs are cool, stuff them with the whipped cream and top with chocolate ganache. Serve to astonished guests because it was actually quite simple to make, just many small steps towards a delicious dessert. 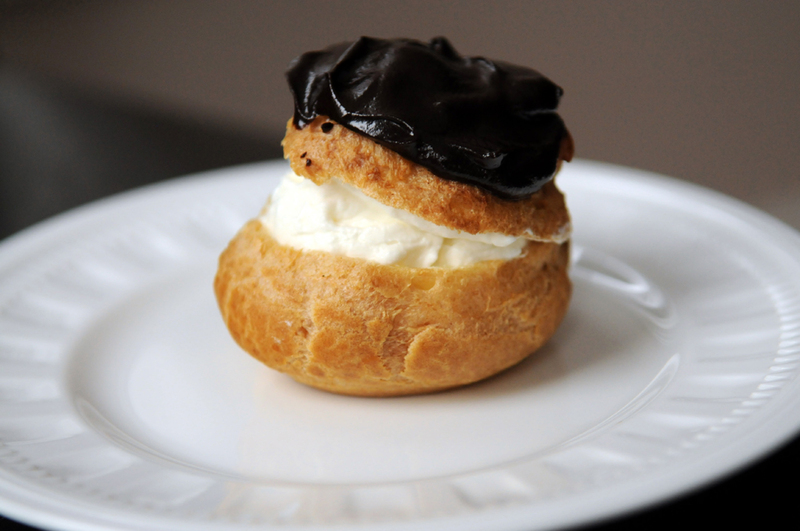 This is my submission to this month’s Tea Time Treats for French desserts.